By buying this product you can collect up to 21 loyalty points. Your cart will total 21 loyalty points that can be converted into a voucher of $5.25. Because this item is hand crafted and made to order to ensure the highest standard of quality, please allow 1-2 weeks for delivery. 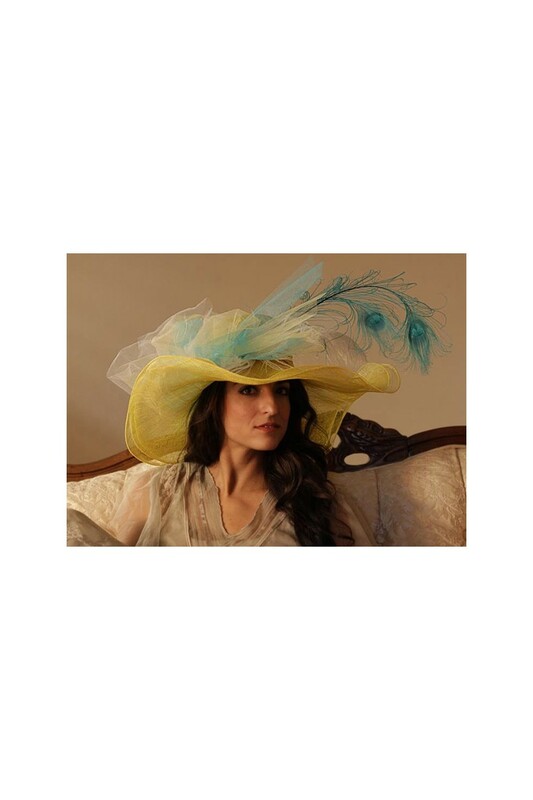 The "Lady Laura" hat, designed by the fabulous Louisa Voisine Millinery, is the quintessential item for all lovers of "Downton Abbey" the world over. 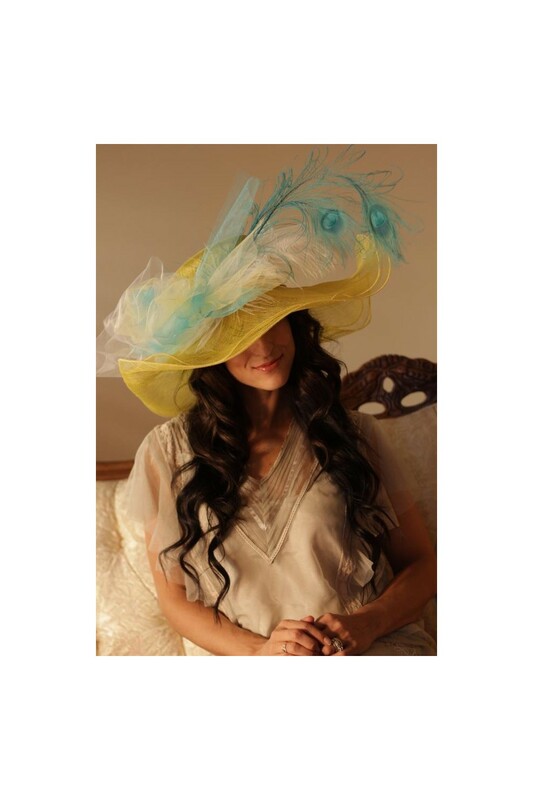 It will be the perfect complement to Edwardian inspired bridal gowns and mothers of the bride dresses. This design is especially well-suited for vintage style garden weddings. 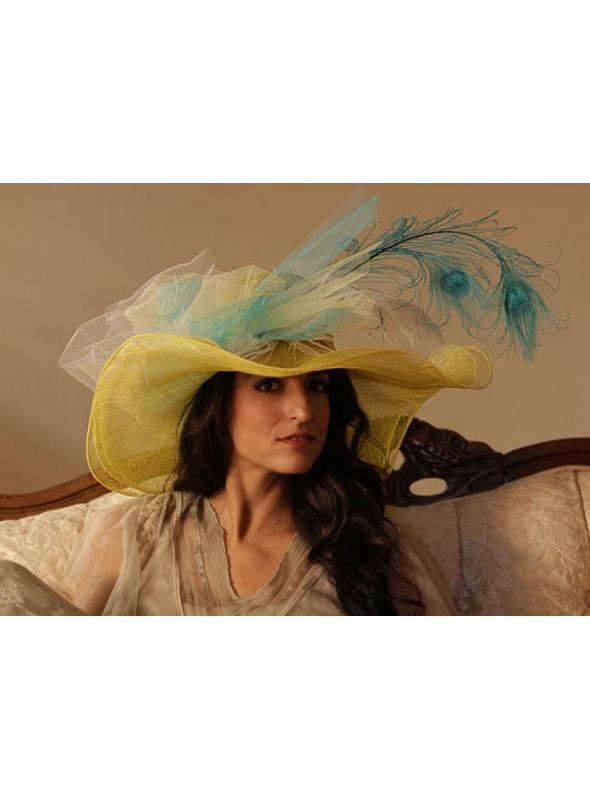 Yellow sinamay accented with a white ostrich plume and peacock feathers. 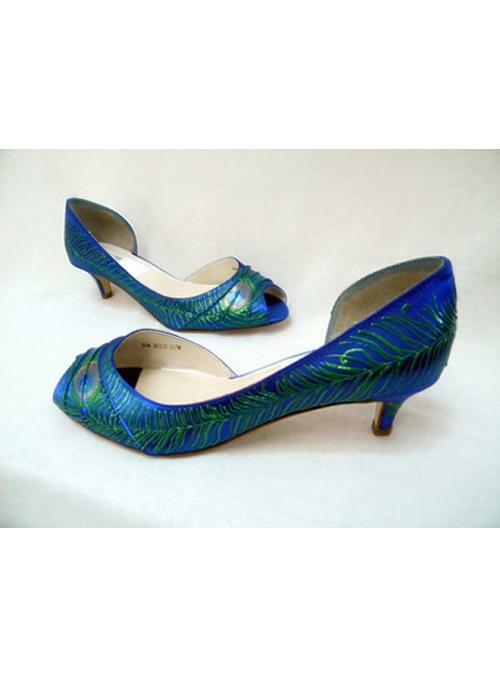 The peacock feathers are dyed in the color teal and accented with clusters of bright tulle. 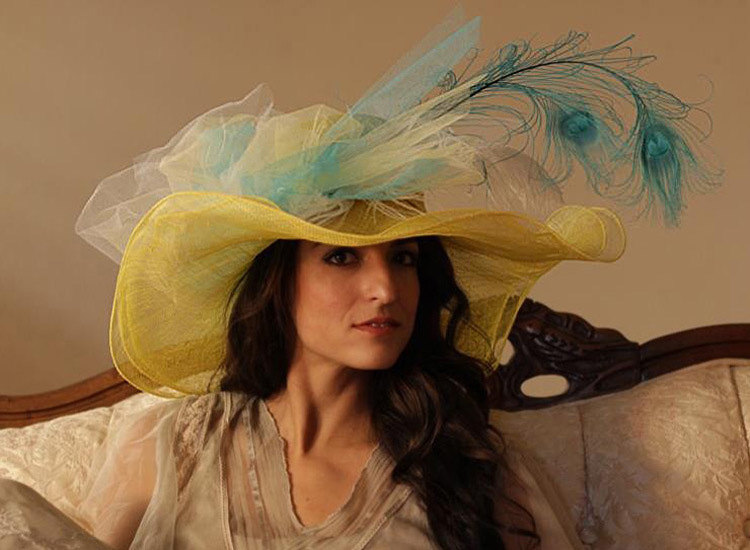 The brim is a double layer of sinamay.